NTEL, Nigeria’s 4G/LTE broadband operator has announced a national roaming field trial with 9Mobile.The operators have received regulatory approval from the Nigerian Communications Commission (NCC) to commence a national roaming trial over a two-month period. 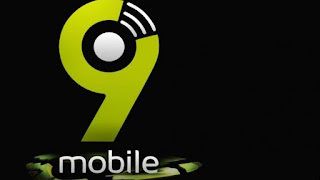 The firm said yesterday that the agreement would enable its customers to make calls on 9Mobile’s network using any 2G or 3G handset within the specified trial zone. Commenting on the commencement of the national roaming trial, ntel’s Chief Executive Officer, Ernest Akinlola, said: “This agreement is a significant step in the right direction for us as a company and the telecommunications eco system. “A full national roaming agreement with 9Mobile would provide our growing customer base with a seamless service over 4G/LTE superfast data and voice clarity as well as ubiquitous 3G and 2G coverage nationwide. “Both operators are pioneers in innovation and we are pleased to be charting a new path for the industry.”The national roaming test is expected to commence on both networks from today.